ARE YOU READY TO BE A FULL CIRCLE LEADER? Take the Full Circle 7 Assessment! 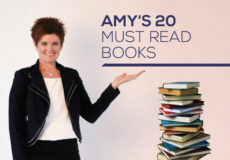 Amy’s clients are successful women who are ready for more. They are receptive to change and looking for a personal transformation that will assist them in their new level of leadership, either personally or within a corporate structure. Is that you? Or someone on your team? The 21 questions are designed to help you identify areas of strength and opportunities for growth within the Full Circle 7. After hitting “submit” you will see your scores as well as receive an email with them. Have Fun! We look forward to discussing the roadmap for next steps in your evolution as an empowered leader with you after the assessment. To schedule your 30-minute complimentary coaching session, Email us at info@amythrow.com today! The leader who masters gravitas will command respect and attract followers wherever she goes! In the Full Circle 7 program, gravitas stems from your personal knowledge of your subject matter and passion about it, as well as your ethics and strength of character. 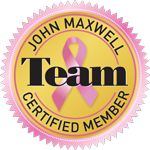 You have all the education, certification and skills needed to advance at work. You have joy and passion for work. You have an interest in making a difference in the organization and the lives of others in addition to just getting the job done. Even those who have mastered a subject may need to develop the other intellects that help them become more self-aware and use their strengths more naturally. In the Full Circle 7 program, intellect includes development of self-intelligence, emotional intelligence and social intelligence. You have an understanding of personal areas of strength and willingness to use them within the workplace. You have an ability to recognize when someone is having a bad day. You have a sense of comfort and ease in different social situations and the ability to set others at ease. The ability to engage and activate others with effective communication skills is key for any rising executive. This includes high performance in individual conversations, small group meetings and the ability to comfortably address and engage an audience in a public speaking engagement. The Full Circle 7 program evaluates and addresses abilities in each area. You have an ability to know when to talk and when to listen in a one-on-one conversation. You have the ability to communicate effectively in groups (meetings, discussions, conference calls). You have comfort with public speaking and an ability to engage and connect with the audience. Equanimity means a sense of balance at all times and the ability to handle the unexpected with grace. Equanimity involves the quest for being calm, centered and clear in all situations, knowing what to say and do and always modeling the behavior you would like to see in others. The holistic nature of the Full Circle 7 approach develops each of these critical areas in effective leaders. You have an ability to be calm, centered and clear in stressful work situations and not let stress affect decision-making. You have the skill to think quickly and react appropriately when handling challenging people and unexpected situations. You have the ability to use discipline and self- control to model desired behavior for others at work. One’s outward appearance is the world’s first impression. The Full Circle 7 executive presence model fosters a “change from the outside in” approach, which includes evaluation and elevation of dress, decorum and demeanor. You have the habit of dressing professionally, and having the right appearance to make the best impression. You have good manners and appropriate behavior in every social situation. You have an understanding of how to appropriately use words, postures and gestures so that people are not offended. Changing anyone’s thinking is rarely easy but it is the key to moving forward in business and life. The Full Circle 7 program creates “masters of their own thinking” by cultivating a growth mindset and learning how to manage thoughts for the ultimate advantage in leadership situations. You have a belief in the ability and capability to learn new skills. You have a practice of investing in self- improvement and professional growth in work or life. You have an understanding that thinking differently might be necessary to move forward. Authenticity means understanding and working from your strengths. 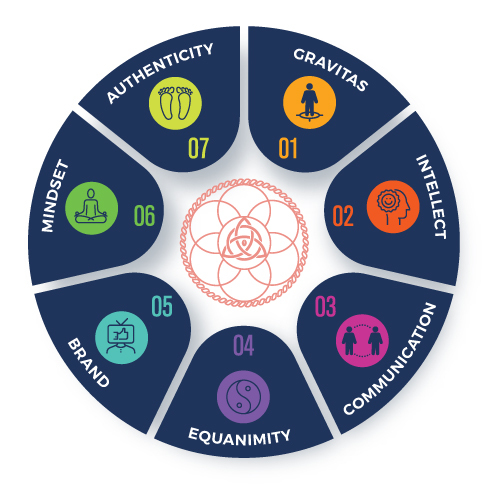 Development of authenticity in the Full Circle 7 program includes identification of your unique genius zones and leveraging them to develop the power, freedom and courage you need to achieve your loftiest goals. You have confidence in personal strengths and skills and an understanding of how to leverage them for success. You have a way of getting people onboard with an idea using a collaborative approach, rather than an authoritative one. You have a knowledge of how to use personal strengths in leadership situations, and an accompanying feeling of fulfillment in the workplace. Now click the “Submit’ button below to get the answers emailed to you and to have Amy Throw do an evaluation. We have received your results and will be following up with you soon.